What is strategic planning? Strategic planning is the process in which an organization examines and analyzes its resources and defines a path for the near future. In other words, strategic planning is sitting down with a group of people who have different roles in an organization and mapping out where you are, where you would like to be, and how to get there. It includes examining your products and services, your financial situation, and the people who run and work in the business. It also may include such elements as examining marketing and advertising, equipment and space needs, employee roles and organizational charts, the competition, waves-of-the-future, growth and/or exit strategies, and anything else that is pertinent to success in the coming year and beyond. Strategic planning is not just for the big guys. In fact, it is equally if not more important for small and medium-sized businesses to engage in strategic planning. A smaller business has no time or money to lose. Even a slight miscalculation, missed opportunity, or error can be devastating. Strategic planning is one of those activities that too often falls by the wayside, particularly in a smaller organization. It takes time and resources. However, in the long run it invariably saves time and resources and is essential for smooth and efficient growth. It is unquestionably more expensive to fix problems and revamp than plan and get it right the first time. Strategic planning is generally performed on a yearly basis or sometime less often. It depends on the needs of the organization. Typically strategic planning looks ahead to the next one-to-five years, though it could be more. However, realistically strategic planning is most effective for the relatively near future. It is much more difficult to predict what will occur five or even three years into the future than the coming year. Strategic planning is highly practical. Unlike business planning, where projections are often made based on assumptions and are intended to be tweaked over time, strategic plans are the peddle-to-the-metal assessment. It is based on hard facts as much as possible, rather than theoretical visions. In fact, it is in strategic planning where business plans get adjusted to more reflect present reality. A SWOT (Strengths, Weaknesses, Opportunities, and Threats) analysis is an exercise specific to the immediate needs of the business—examining internal and external factors and how they impact identified objectives. A vision is the long-term view, the way an organization will look in the future. A mission defines the fundamental purpose of an organization. It is a succinct description of why the organization exists and how it will achieve its vision. Values are the beliefs that are shared among the stakeholders of an organization. Values are the framework for an organization's culture and its priorities. Goals are the targets an organization wishes to reach. These are specific benchmarks that can be reached though concrete action. Strategies are the long-term objectives an organization wants to achieve. They may include steps and policies. Strategies are a roadmap for reaching a vision. An action plan articulates specific and detailed short-term tactics that support the implementation of strategies. This section is the most literal and concrete. There are various approaches and tools for strategic planning. Besides a SWOT analysis, there are other tools that can be used. For instance, the GE/McKinsey matrix measures business unit strength and industry attractiveness; the COPE analysis helps to define product competitiveness and performance; Balanced Scorecards assesses performance measurements. Which tools you use are significant in that they should be effective for your organization as there is no one correct method. It is not expected that someone inside your organization is an expert in strategic planning. You and your team are experts in your business, not the strategic planning process. This is why it is useful, if not essential, to have an outside expert as a guide. Typically, strategic planning is performed outside the work setting, often in a multi-day retreat. This helps to focus the work without day-to-day distractions. It also supports investment of the participants. Though these retreats can be enjoyable and very productive, everyone wants to get them finished. Being away from home supports that greatly. Securing an outside facilitator assists in making the process smoother, more efficient, and more productive. Expert facilitators know what you are not expected to know. They are able to tailor the process to your particular needs. Additionally, they are objective and able to see issues that for participants are too close. A facilitator helps to get buy-in and participation, is able to ward off or mediate conflict, and addresses any power imbalance that might hinder the process. Using an in-house facilitator may be penny-wise but is pound-foolish. The investment in an outside facilitator is more than likely to help you get the most out of the experience, productively and financially. § Strategic planning puts ideas into action. It is all about how to make your organization work most efficiently and effectively. § There are many methods and tools for strategic planning. All are good, none are perfect. What is most important is to find the style and tools that are best for you. Accomplishing your goals is more important than using a particular formula. § You are probably not an expert in strategic planning, and there is no reason you should be. That is not your job. Find someone who is, follow his or her lead, carve out a time and place just for this work, and don’t be afraid to be creative. A successful business means many things, but of course the bottom line is financial success (even non-for-profit organizations need money). Among the members of the strategic planning team, always include a CFO. 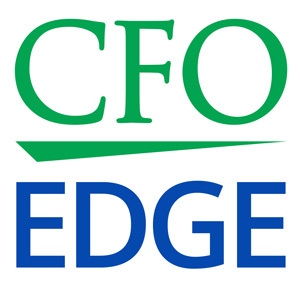 The CFO is perhaps the most valuable member of the team when it comes to finances. Though there are many ways to define a successful business, no business is successful without an adequate bottom line. As mentioned, strategic planning is outside the core competencies of company executives and entrepreneurs. Consideration should be given to contracting with an outsourced provider of CFO services as this resource has expertise in strategic planning for companies ranging from start-ups to large corporations.